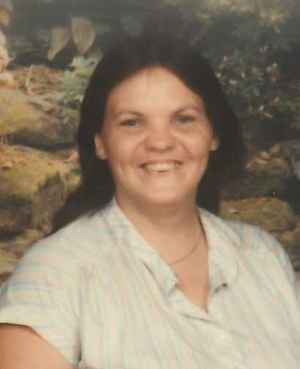 Paula Laubacher, 55, of Fremont, OH passed away on Friday, December 22, 2017 at Stein Hospice in Sandusky, OH. She was born on November 1, 1962 in Fremont to Garnett and Beverly (Cress) Trimble. She was a 1982 graduate of Fremont Ross High School. Paula married Douglas Laubacher on May 27, 2000 in Bettsville, OH and he survives. She was a member of Fremont Baptist Temple. Paula enjoyed family reunions and spending time with her grandchildren. Paula is survived by her husband of seventeen years, Douglas Laubacher; Fremont, OH; son, Timothy Trimble, Fremont, OH; siblings, Dale “Butch” Trimble, Tom Trimble, Janet (Justin) Johnson and John (Kathy) Trimble, all of Fremont, OH; four grandchildren, Jade, Xavier, Ezekiel and Areriana. A Memorial Service will be held on Sunday, December 31, 2017, 1:00 pm at Fremont Baptist Temple. So sorry for your loss thoughts and prayers are with you and your family. Laubacher and Trimble families, may you find comfort in all the wonderful memories you have made with your loved one Paula. For the day will come that no one will suffer of illness again; Isa. 33:24 and a promise God gives of a life without end. Rev. 21:3,4.